Warlock is a new Patreon-supported project from Kobold Press, publisher of the Midgard Campaign Setting for 5th edition. 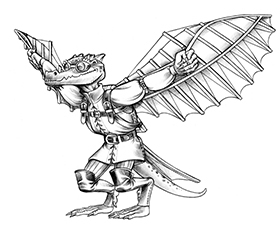 With your support, the Kobolds can make new 5e Midgard material on a regular, ongoing basis. 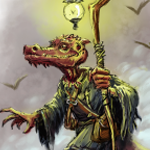 In return for becoming a patron, you’ll get first access to new maps, new monsters, new 5e character options, and much more. Help expand the world of 5th edition dark fantasy at https://www.patreon.com/koboldpress. “Warlock Bestrides the Planes” supporter here! Still new to the Midgard setting, but I am learning. Best of luck to everyone! Not to be dense, is this focused on the Warlock class and it’s patrons or general 5E stuff? General 5E stuff. We love the warlock class (obviously), but it’s not a big enough topic for the Patreon we have in mind. Thank you for all the support! We’re going to have more updates and previews all month. Just wanted to say it’s great to get a warm welcome. I am down for the caper. Our support pledge is officially signed sealed and delivered. You might want to keep an eye on it. Can Warlock #1 be purchased without backing the Patreon?